Lembeh Strait is the ideal destination for learning to dive; with easy conditions and some of the world’s most famous critters there is no better place to start your diving adventures! Certified divers who are keen to develop their skills the Lembeh Strait offers a wide range of dive sites allowing you to learn more advanced techniques and skill sets. 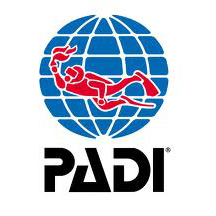 We offer a full range of PADI and SSI courses to suit all levels of divers and our team of professional instructors have years of experience of diving and dive training in the Lembeh Strait. If you are looking for a safe and fun introduction to diving then the PADI Discover Scuba Diving, half day program is the perfect choice. 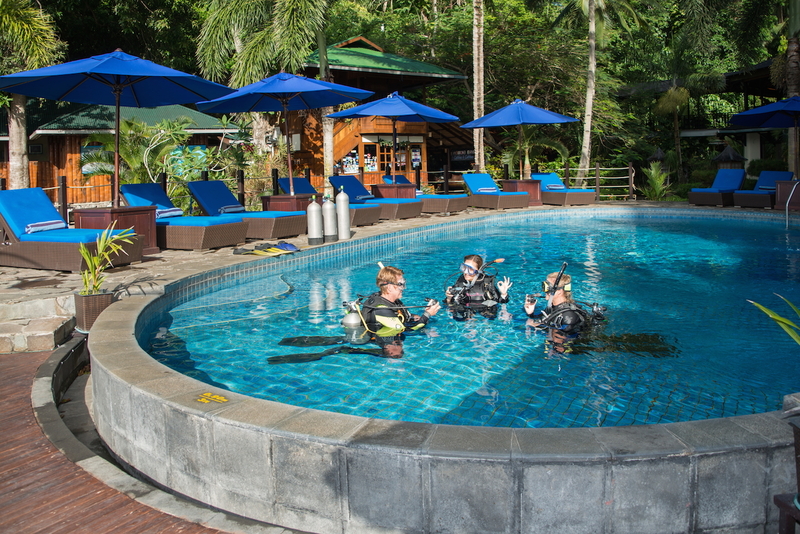 During your PADI Discover Scuba Diving program you will learn some basic skills from one of our professional instructors in the pool before going out to make your very first ocean dive! You will dive to a maximum depth of 12 meters and see some of Lembeh’s amazing marine critters, all under the careful supervision of your instructor. Participants must be at least 10 years old. Want to get certified? There is no better place than in Lembeh! During your course you will make 5 pool dives, 4 ocean dives and complete 5 theory sessions. The open water certification is a lifelong certification which allows you to dive to 18 meters and in Lembeh you will see some of the world’s most famous critters! The Open Water certification teaches you how to be a safe and responsible diver and this is the start of your diving adventures! Participants must be at least 10 years old. The PADI Nitrox Specialty Course (or SSI if you prefer) is ideal for photographers who want to increase their bottom time and have more opportunities for taking pictures. During this course you will learn about what “Nitrox” is and about the benefits, practicalities and hazards of diving with Nitrox mixes of up to 40% from one of our professional Instructors. You will also learn how to analyze your mix, change your computer settings and how to dive with Nitrox safely. Participants must be at least 12 years old and open water certified. Study at home and spend more time in the water in Lembeh with our range of online E-learning options which allow you to complete your studying before you arrive in resort! Online learning is available in a range of languages and at our resort we can teach in English, Indonesian, German, French, and Spanish. Please ask us for more information about the e-learning options available for your course.